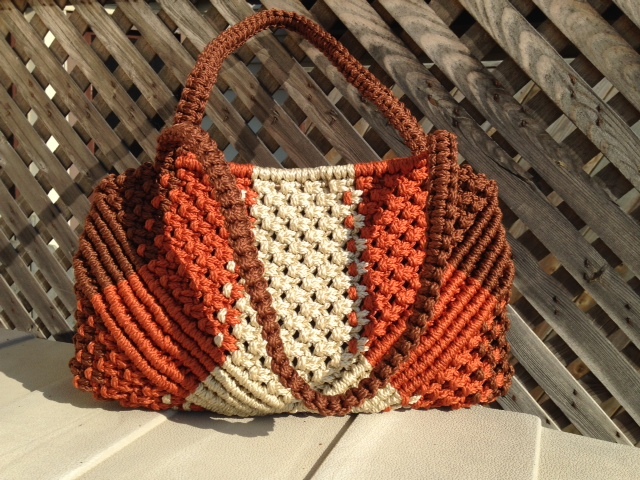 This entry was posted in Finished Projects, Main Page and tagged 6mm, custom order, macrame purse, purse. Bookmark the permalink. Are you asking about the top of the purse, around the opening? After you knot the handles to the length you wish, you bring one cord from the left over to the right and one from the right toward the left and pin these down. 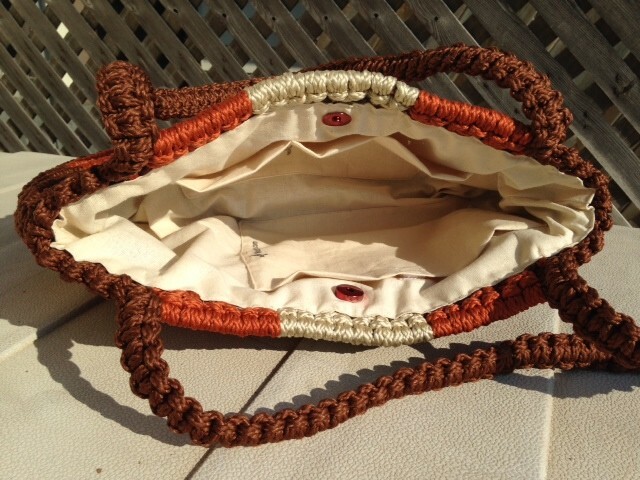 Lark head attach additional cords around the two cords and this will form your purse edge.